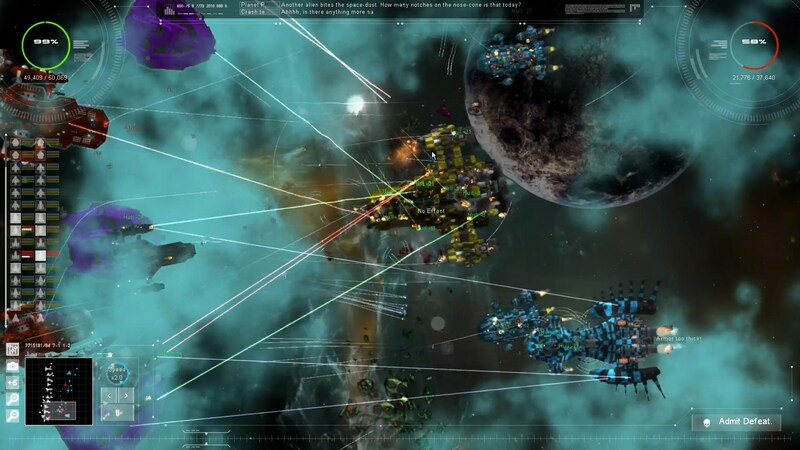 Gratuitous Space Battles 2 just dropped on Steam recently, so I decide to take this fleet-combat simulation for a spin. While I barely ever won a battle in the first game, the second game starts off a little easier, at first anyway. I also liked that ship construction — something I have little patience for — was simple and straightforward. Combat was fun even if you couldn’t control anything directly, and it’s really cool to see all the ships go at each other, with parts that fly off, catch fire and so forth as they get damaged. What I didn’t like was the game’s apparent lack of stability. While trying to make this video, the game crashed on me twice within about 30 minutes, which kind of dampened my spirits a bit. I also ran into some odd graphical glitches which were a bit surprising. While it likely needs a spot of patching, if you like building ships and throwing them at other ships, you’ll likely enjoy this game as well, with the caveat that you don’t have direct control once the battle starts. Thanks for watching!